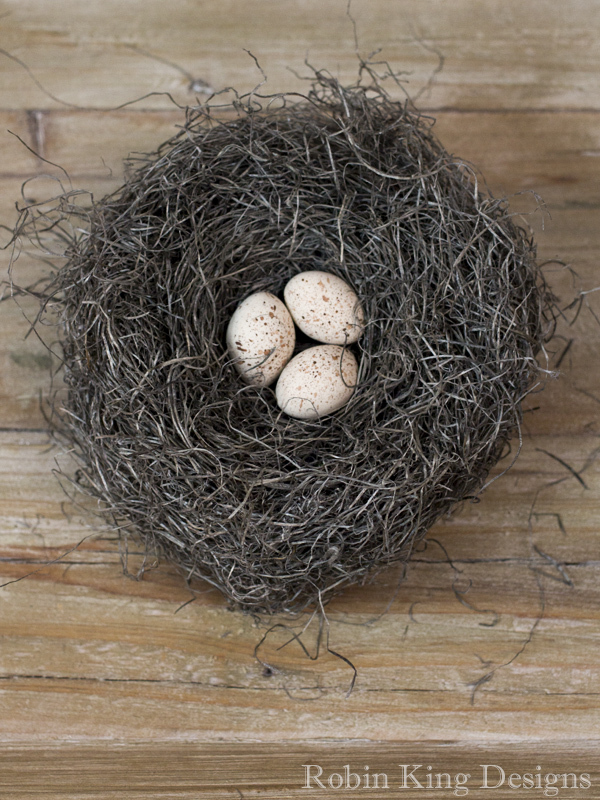 This handmade bird nest with aged ivory speckled eggs will add a little natural beauty to any room in your home. The 6" wide nests are created by an Illinois artist who uses moss to form the nest and hand paints each wooden egg. Simply Beautiful.